Just testing Justin TV which gives free TV broadcasts. It was used for the Waveplace awards today. The panel below should show a live TV feed if I broadcast. The Nintendo Wii videogame has a handheld controller, the Wii Remote. The Wii Remote has the ability to sense acceleration along three axes through the use of an ADXL330 accelerometer. It also contains a 1024x768 infrared camera with built-in hardware blob tracking of up to 4 points at 100Hz. The Wii Remote communicates wirelessly with the console via short-range Bluetooth radio. It was chosen to run it conservatively at 14 mA with a 1.5V battery and 22 ohm series resistor. The longer LED lead connects to the battery + , the resistor is in series. While pressing the A&B buttons on the Wii Remote, click on add. Select the Wiimote when it appears and select no passkey. Clicking on Calibrate Location brings up the 4 calibrate points, flash the IR LED at the four calibrate points. You can setup the Bluetooth from within GlovePie by choosing the Control Panel-Settings > Bluetooth menu in GlovePIE. 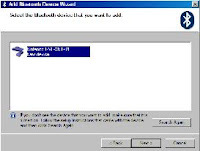 You should then select Bluetooth Fix from the Troubleshooter menu. Generate an appropriate script, either by typing into the left script tab or by selecting options from the GUI tab. 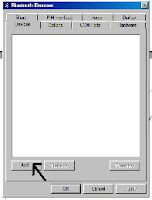 For example, the following script gives control over a dummy mouse pointer and can easily be generated using GUI tab options. Which Programming Language Makes it Easier for Students to Learn to Program? In an interesting presentation at ACEC2008, Jason Zagami presents the results of a study, Which Programming Language Makes it Easier for Students to Learn to Program? Jason tests text only languages, PHP and VB, mixed text/graphics languages Game Maker and Alice and a graphics only language Robolab (Labview) . The languages were tested in an Australian girls' secondary school. The difficulty reaching levels of competency in programming language structures such as simple sequencing and nested loops was compared. "programming languages that rely predominantly on visual representations were shown to be more effective in supporting student understanding of introductory programming concepts than programming languages relying predominately on text"
If I understood his presentation, he further indicated that mixed text/graphics languages were better for simple concepts like sequencing but text only or graphics only was better for more difficult concepts like nested loops. I look forward to reading the wider study when it is published: Zagami, J. (2008). Seeing is understanding: The effect of visualisation in understanding programming concepts. (Doctoral dissertation, Queensland University of Technology, 2008). Dissertation.